Let's face it, it's no secret that new places (restaurants) excite me. Especially under the powerful influence of Instagram, one filtered image after the other, of matcha frappes and interesting-looking hot dogs, I was deeply intrigued. 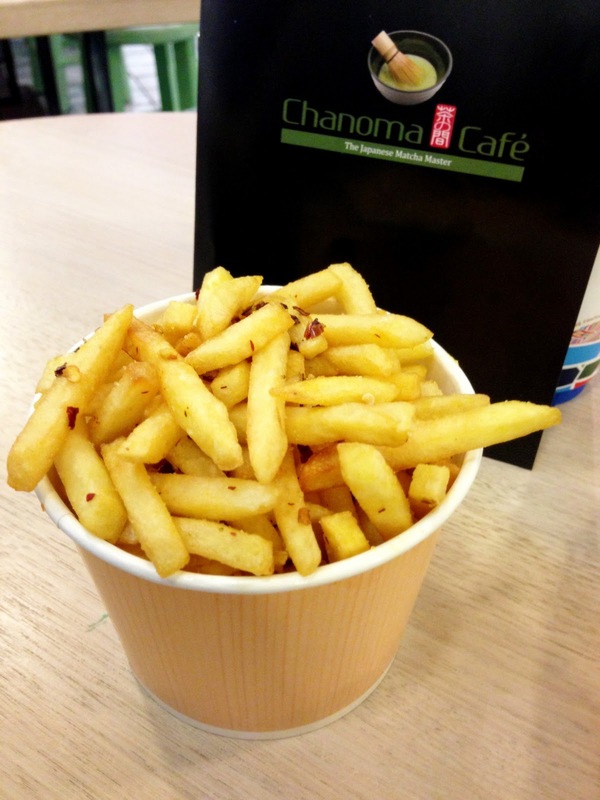 Chanoma Cafe is the new Japanese eatery at Regent Place, next to Event Cinemas on George Street in the city. Essentially it has replaced the old Azuma Patisserie store, which has now relocated across the street. 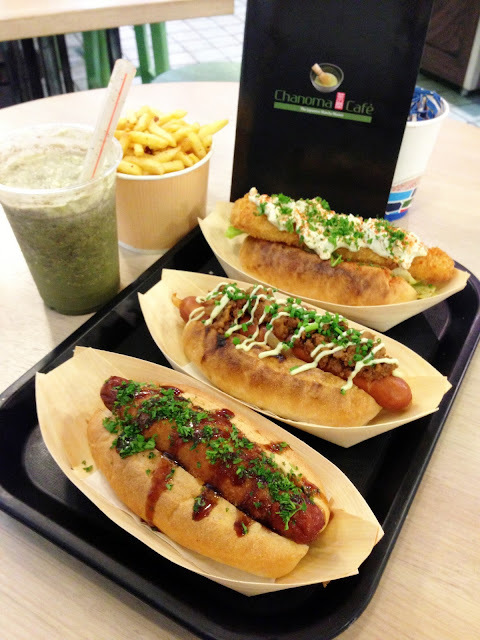 If you're a big fan of traditional green tea/matcha and unconventional hot dogs - this is the place for you. One glance at the menu and you know things are serious - Japanese Matcha Master. Once you open the menu you will understand why. From matcha lattes to matcha floats, matcha frappes and matcha parfaits...this place is matcha crazy. Green tea lovers, you have found your heaven. Now for those of you who have no clue what matcha is, and probably think I'm going crazy with that word - matcha refers to fine powdered green tea. Not everyone is used to the taste of matcha, so just a heads up! I was worried that the original matcha frappes may be too bitter and personally I can NEVER finish a drink by myself...so M and I decided to share one. To cater for his sweet tooth and weakness for Oreo, we decided to get the Oreo Matcha Frappe ($6.50). The first few slurps were delicious as you could taste the sweet swirls of oreo mixed with the fine matcha flavours, in a slurpee-like texture. However for me it got a bit too sickening towards the end as it was pretty sweet but M loved it and finished it all. If matcha alone sounds odd to you, apart from Oreo, there's also Azuki, Chocolate and Banana Frappe options. 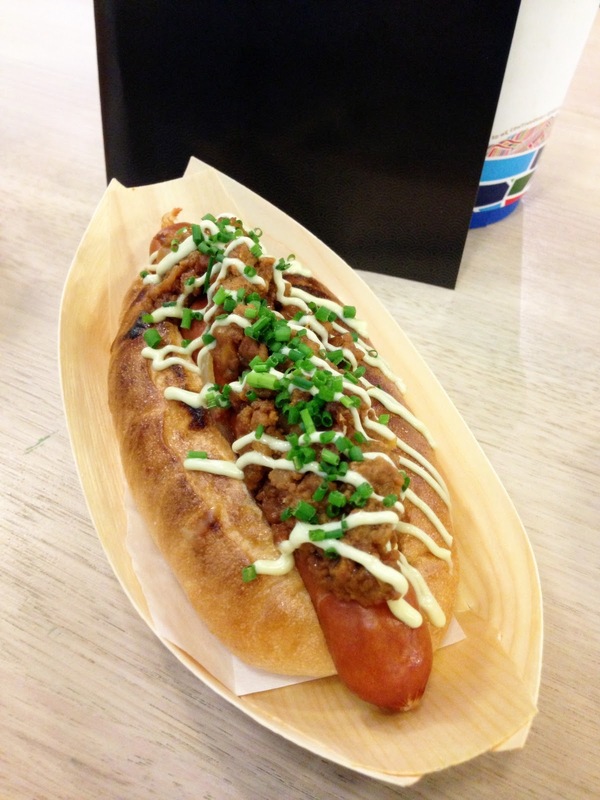 Now apart from the matcha, the hot dogs (Japanese Style) are also a highlight here. 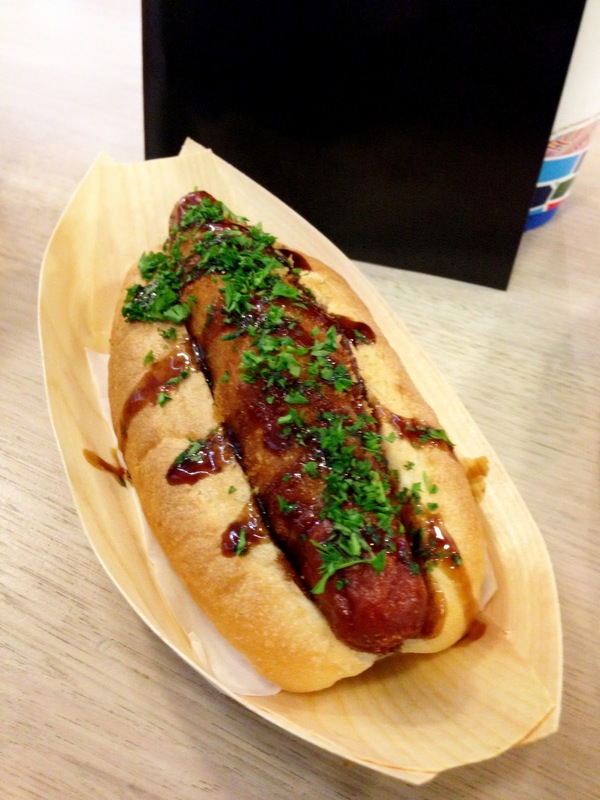 After all, apart from matcha and azuki drinks/desserts...you really only have hot dogs and chips on offer from the menu. 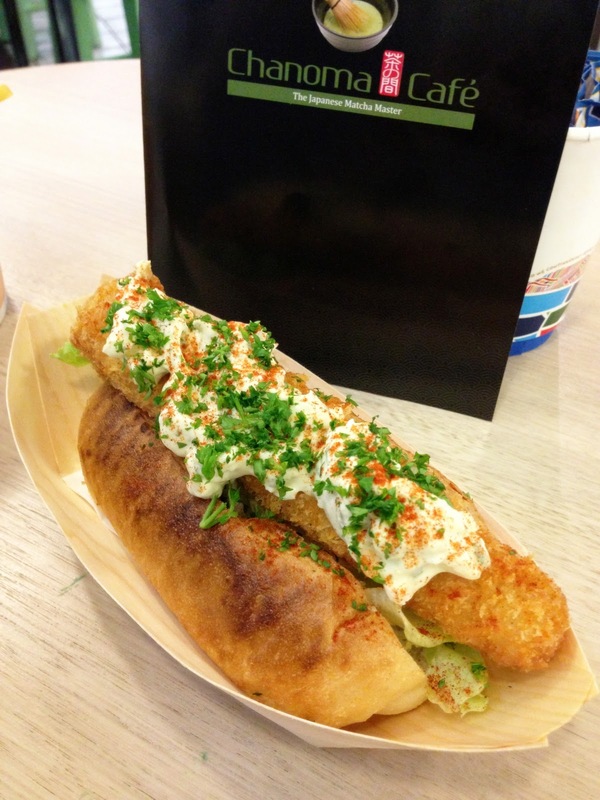 The Creamy Shrimp Croquette Dog ($6.20) was simply fabulous. Naturally not your ordinary hot dog - the Japanese have added a super cool modern twist by replacing the sausage with an ebi fry prawn. Slathered with generous amounts of Jap mayo, you simply CANNOT hate it. Amazingly hot and crunchy on the outside with a super soft prawn filling, it was oozing with yumminess! Personally I wasn't a big fan of the Spicy Meat Lovers Dog ($5.50) as the flavouring was very strong and it just went down with a heavy taste. I am totally not making sense. I just remember taking one bite of this and deciding that I would just alternate between my other two hot dogs. M on the other hand thought I was just picky and enjoyed it, commenting on how it was similar to the Chilli Dog at Harry's Cafe de Wheels. So...luckily it did not go to waste. Now, the Tonkatsu Dog ($6.20) is an absolute must-order! Not only was the sausage super tasty and succulent, towards the middle, the whole thing is tonkatsu fried! Holy moly it was amazing. Hot dog on steroids amazing. The sauce added to the flavour and it was simply a pleasure to demolish it. So you ask...would I come again? Yes I would but mostly for the Shaked Chips. If you get it in Chilli and Garlic seasoning you will understand why. Think maccas chips with 10x better flavouring and a touch of addiction. I saw someone come in just to take-away the chips - at that exact moment, I was stuffing 5 chips into my mouth and thinking "we should be friends". 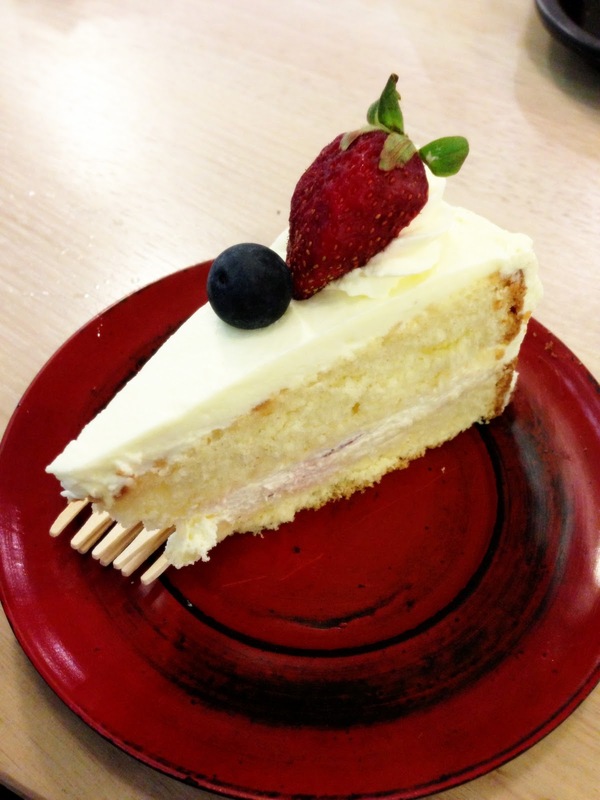 Typically you'd order the matcha desserts at Chanoma Cafe however I just couldn't resist when I saw their Strawberry Cream Cake ($5.50) or otherwise known as, one of my top weaknesses. Unfortunately it didn't taste as great as it looked - the sponge cake part was a little too dry for me. Oh wells. For other dessert options, you can consider the matcha anmitsus, matcha soft ice creams, or the matcha parfaits etc. 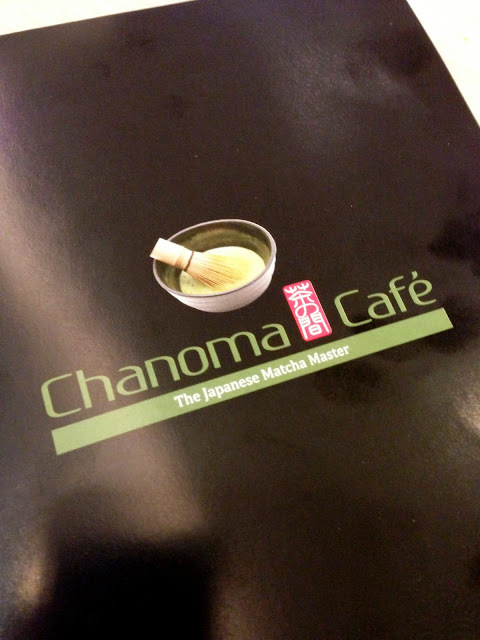 Overall I enjoyed my experience at Chanoma Cafe. Even though I don't usually eat or crave hot dogs, I do love it when someone does something different with conventional food. Cue Japanese influence and I'm there! Plus it's not too expensive so I can see this place being a hit with students. Most people tend to come here for a quick snack, a drink with friends or a matcha dessert feast. 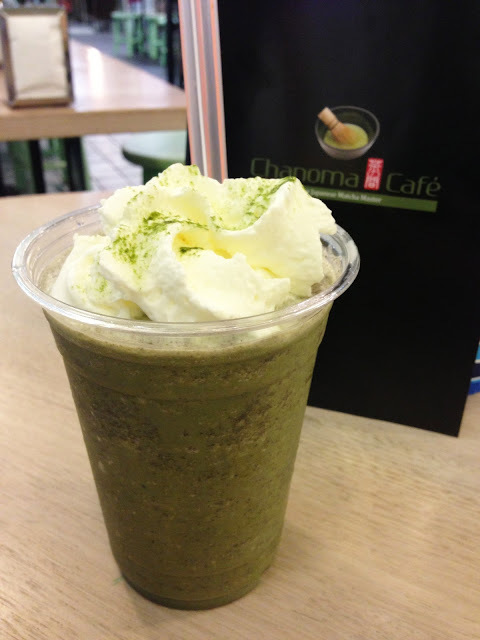 It's matcha galore at Chanoma so I'm sure you will find something to suit your matcha appetite. P.S. The bread roll for all the hot dogs were amazing - fresh, soft and served hot. Loved it. The decor screams Japanese and Asian influences which is quite fitting considering it's the place where Japanese Matcha Masters reside. I loved the wooden tables with the flowing leaves from the ceiling - it's got such a cute atmosphere! There's seating both inside and outside but it can get busy so don't be surprised if you come here and it's all full. Do you need to satisfy your matcha craving now? Head down to Chanoma!! !